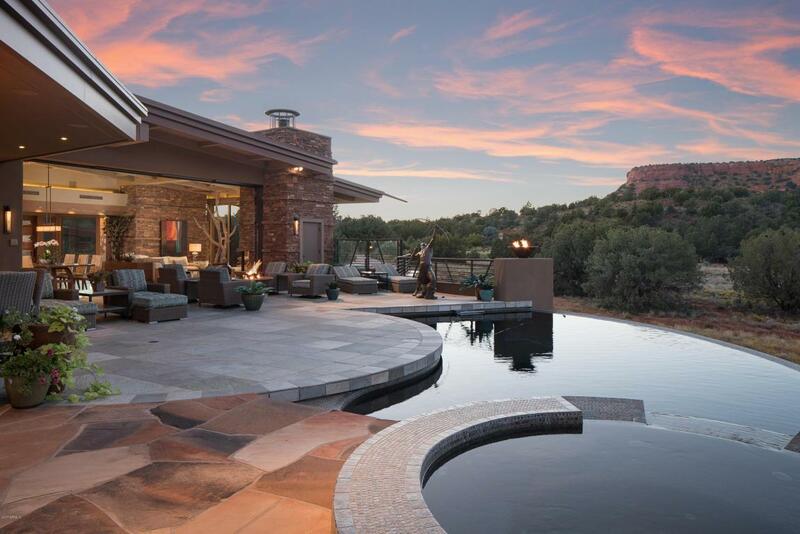 Just Reduced $500,000 Most revered home in Sedona! Sophisticated sanctuary unmatched in quality, location and price. 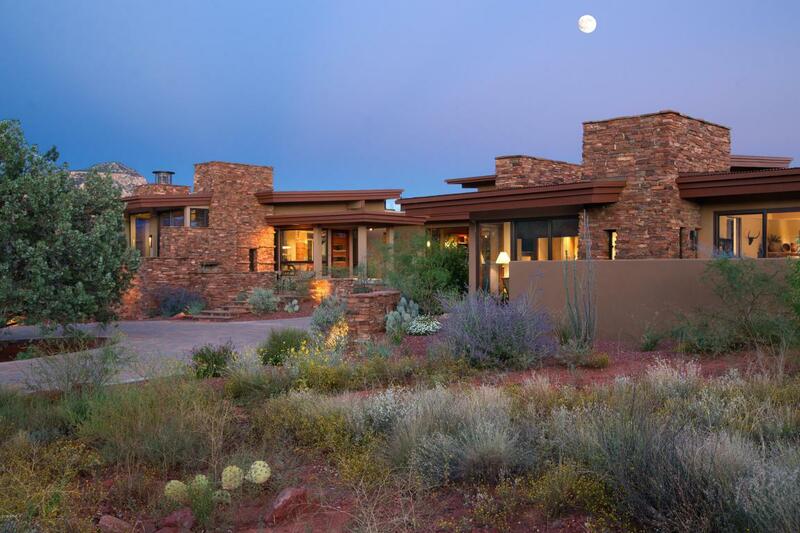 Property is surrounded by dramatic red rock views situated against national forest. 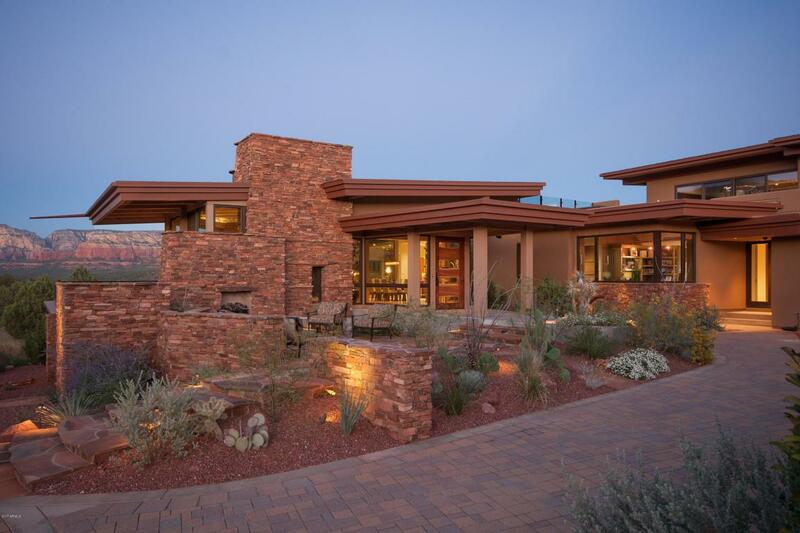 Main residence offers 5,722-SqFt., living space and fully appointed 580-SqFt casita for guests. Designed and built in 2012 by Eric Brandt, Rick and Randy Morris. 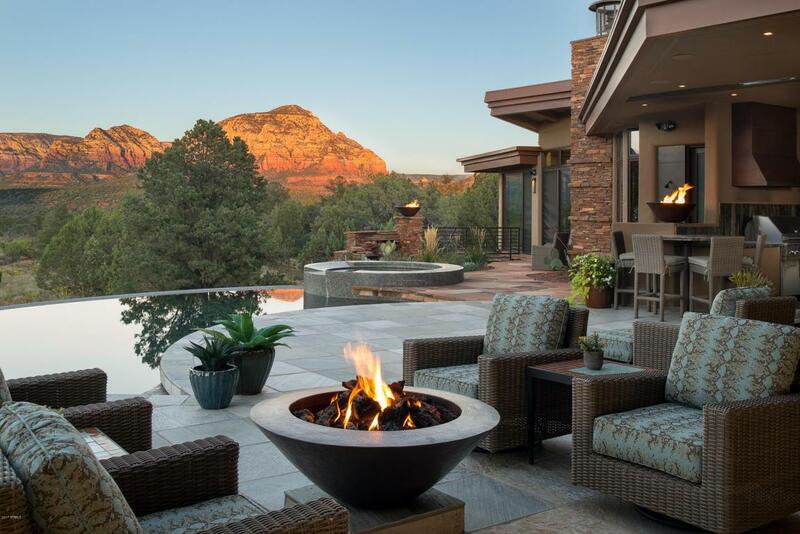 Green living with geo-thermal and solar.Exceptional outdoor living spaces include a negative edge pool, spa and lounge, state of the art roof top deck with outdoor movie theater, zen water features, fire-pits and more. VIDEO attached to photos. Documents & architectural renderings attached to MLS Documents.